iKnow! is a companion study tool for the iKnow! website. 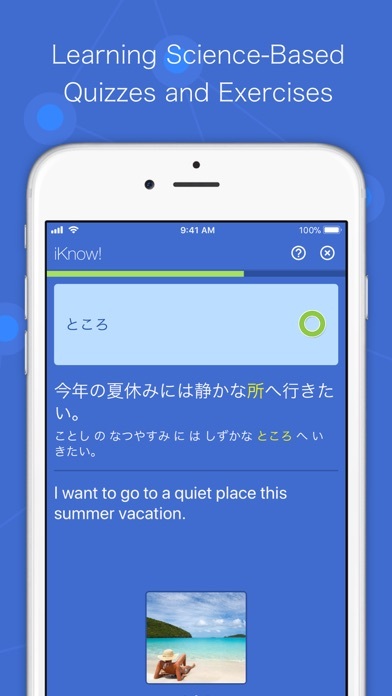 With this app, you can enjoy the iKnow! experience on your phone or tablet. All iKnow! 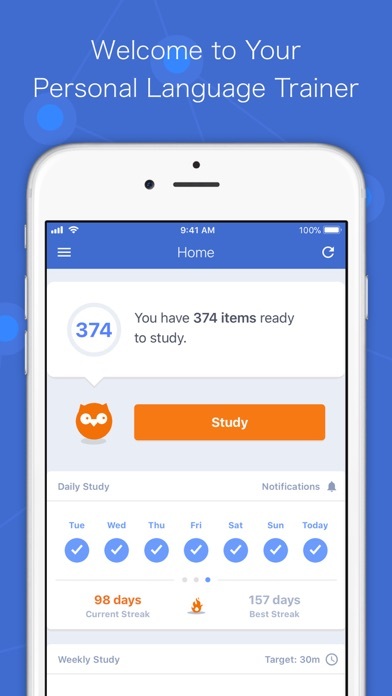 study progress on your iOS device is automatically synched to your PC account, so you can study in the way that best matches your needs and lifestyle. Official courses are offered for studying Japanese, Chinese, and SAT English. The Japanese coures covers the 6,000 most commonly used words in Japanese. The Chinese courses cover the 2,000 most commonly used words in spoken Chinese and over 1,200 words commonly used in newspapers and magazines. 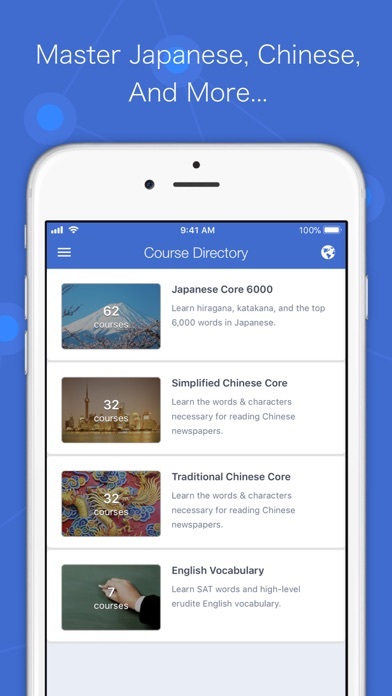 (All Chinese courses are available in both Traditional and Simplified Chinese.) 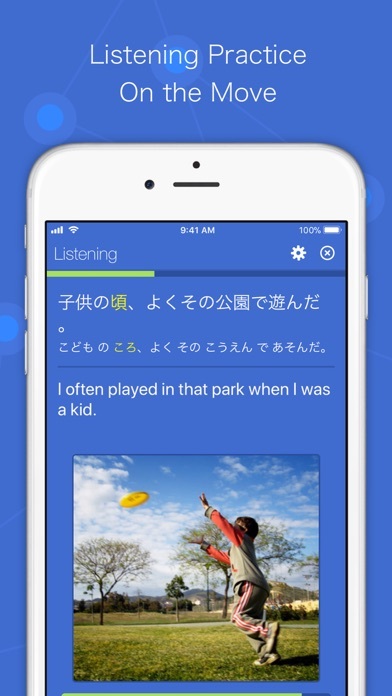 All words have sample sentences and audio. iKnow! presents items in a spaced rehearsal pattern optimized for efficient learning. iKnow! adapts to differences in learning speeds and item difficulty, constantly measuring memory and predicting performance across all of your items. iKnow! does this by tracking your performance and then predicting your optimal review time on an item-by-item basis. All you have to do is push the study button, and iKnow! tells you what to learn. - Five study applications: iKnow!, Rapid Choice, Self Check, Sentence Trainer, and Listening. - Self Check: Judge yourself on what you know and how well. 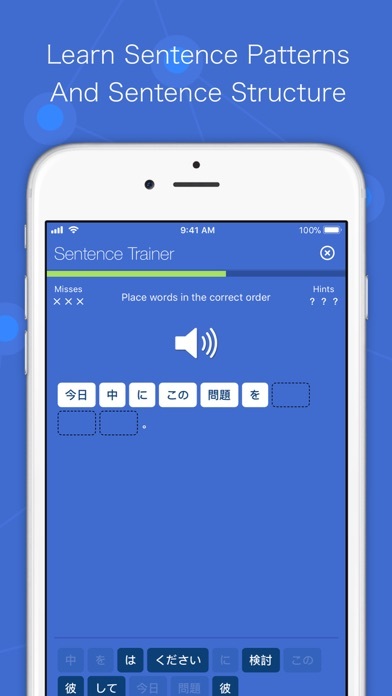 - Sentence Trainer: Master sentence patterns by listening and then dictating. - Listening: Listen to content on the go. You can slow down and loop any audio.